The 2018 Legislative Session is behind us, but the positive impacts for our economy and business community will be felt for years to come. 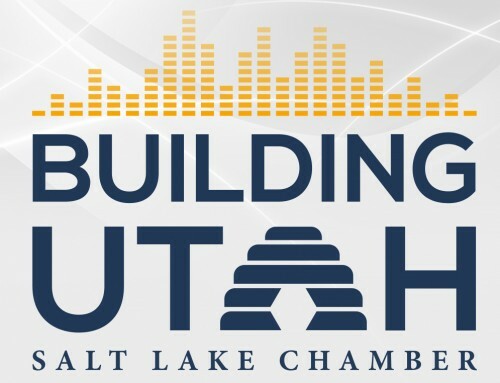 In the next several weeks, we will break down some of the most impactful pieces of legislation the Salt Lake Chamber supported over the past 45 days, share insights about the process and why it matters for our members. The compromise between Our Schools Now and the Legislature to increase investment in Utah’s education system by $600 million over the next five years was one of the greatest successes of the session. The Chamber’s support of the Our Schools Now initiative was always with the hope that a legislative solution could be reached. We are thrilled with the efforts of those involved to develop this well-balanced solution. After weeks of negotiations and discussions between the legislature and Our Schools Now organizers, the compromise materialized in the form of three bills which went through the legislative process, including a public committee hearing, within the final two days of the session. The Chamber has been an ardent supporter of greater investment in Utah’s education system, modernizing our tax code and ensuring our infrastructure is equipped to handle our state’s robust population growth. These three bills, when combined, represent a comprehensive package that addresses education, tax modernization and infrastructure investment while also striking an appropriate balance between legislative action and public input. Property Tax & Equalization. H.B. 293 Tax Rebalancing Revisions will freeze the basic levy property tax, provide increase guarantees and equalize property tax funding to encourage local districts to use their existing property tax authority. Income & Corporate Tax Rates. H.B. 293 also reduces the personal income tax and corporate tax rates to 4.95 percent and reforms the state’s corporate tax apportionment formula to a single-sales factor. Gas Tax Ballot Question. Replaces the initial proposed income/sales tax increase with a 10-cent gas tax increase to go directly to the voters this fall. H.J.R. 20 and H.B. 491 allow for a non-binding opinion question on the ballot to allow voters to decide if they want to raise the gas tax to increase investment Utah’s education system. Local Road Funding. If the 10-cent gas tax ballot question passes, local governments will see an increase of approximately $50 million for local roads by 2023. Increased Funding for Education. In all, these actions will significantly increase education funding. If the ballot measure is passed, in addition to the tax rebalancing changes passed in the legislature, it is expected that $600 million of new money will be placed into education over the next 5 years. This compromise will help to address many of the critical needs for our growing economy; namely education, infrastructure and tax rebalancing. We applaud the agreed upon process and invite business leaders to remain engaged in these discussions as they move forward. As always, let your voice be heard by ensuring you fill out your ballots in the upcoming election. This blog is the first in a series recapping the 2018 legislative session and what it means for Utah’s business community.